A high level group of West Midlands business, trade union and political leaders came together today to map out what support the regional economy will need to successfully navigate a no-deal Brexit. Meeting in Birmingham, the Brexit Economic Contingency Group said substantial Government support would be needed to help meet the challenges of a no-deal departure on local companies. Business leaders stressed the need for clear communication and practical support around what will change on March 29 in terms of export rules and other trade legislation. The meeting also called for an acceleration of existing investment designed to grow and strengthen the economy. Chaired by Mayor of the West Midlands Andy Street, the cross-party Group is planning the region-wide response to Brexit, enabling business and the unions to give their views on what is needed to maintain recent economic success. The Group met as the Government ramps up its own preparations for a no-deal Brexit including a £2bn fund to support the national economy in the event of the UK leaving the EU without an agreement. Speaking after the Group’s meeting at the offices of the West Midlands Combined Authority (WMCA), the Mayor said: “What came across loud and clear is that additional support will be needed to deal with any disruptive effect of a no-deal departure on the our economy and that we will be calling on Government for help. “Business also needs good communications around the latest Brexit developments along with practical information about what changes they can expect in the event of no-deal. “Everyone is also clear that no-deal should not scupper existing or planned investment and that projects, including major infrastructure schemes, should in fact be accelerated. The Group is building on work already carried out by Birmingham City Council’s Brexit Commission, chaired by the council’s deputy leader Cllr Brigid Jones. Its report, published in November, sets out the possible effects of Brexit not just on the city but the wider West Midlands. Cllr Jones, who is vice chair of the Brexit Economic Contingency Group, said: “We are clear that no-deal will be extremely challenging for the West Midlands and we are determined that it should be avoided. 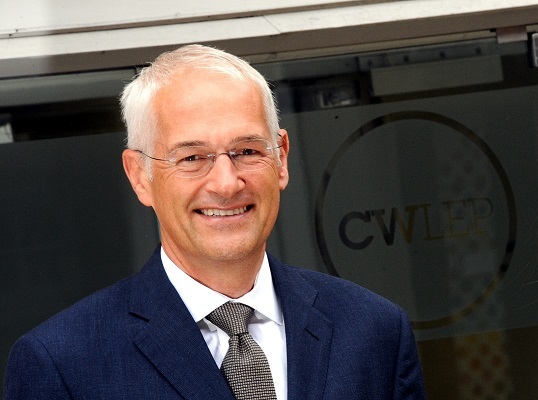 Jonathan Browning, chair of the region’s Strategic Economic Development Board and chair of the Coventry and Warwickshire Local Enterprise Partnership, added: “We firmly believe that a no-deal Brexit presents real dangers to many businesses of all sizes across the West Midlands and the UK as a whole.